Scrap metal merchants have reported gate trade down by up to 50% since cash was banned from the industry in December. Small and independent dealers across the country have told MRW that the new law, brought in to tackle metal theft, was responsible for seriously damaging their businesses. Merchants said tradesmen and other gate trade had deserted them and taken their business to itinerant collectors or yards that illegally pay in cash. Others were taking their scrap to larger yards which had invested in on-site cheque-cashing facilities. The British Metals Recycling Association (BMRA) believes that any fall in the volume of legitimate trade of scrap metal could be caused by a shift to illegal collectors who continue to pay cash and some customers holding on to scrap in the hope that they will be able to sell it for cash. There are widespread concerns in the sector that the cash ban is not being rigorously enforced, which is undermining legitimate trade. A merchant in the Midlands reported gate trade down by around 50% because of the impact of the ban, while another said he had lost 40% since December. One told MRW he believed the police did not have the resources to tackle the problem. A Yorkshire trader with 40 years in the business said smaller yards were having the quietest January anyone could remember. “A lot of trade has just gone underground,” he said, adding that uneven effects of the ban “made a mockery” of small merchants trying to operate within the law. He said the ban had pushed the illegal trade further underground, making the job of the police more difficult. Carl Stanton of AJS Metals, an aluminium end-user based in Willenhall, Wolverhampton, said there were “half-empty yards” across the Midlands, with “a lot of workers standing around”. 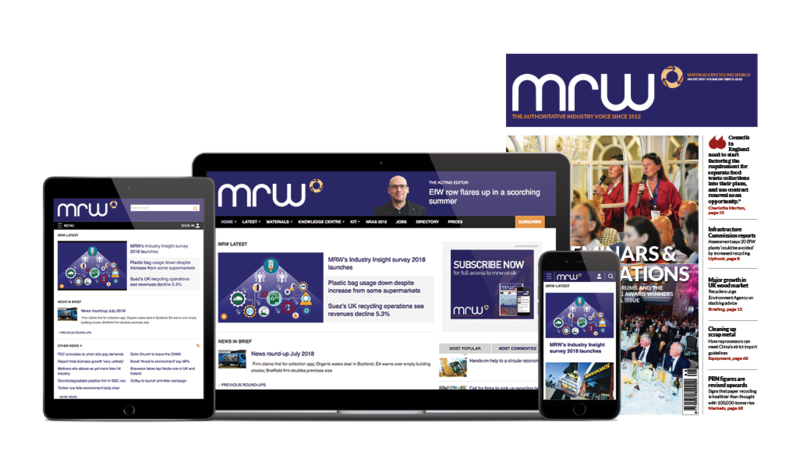 BMRA director general Ian Hetherington told MRW: “While loopholes and exemptions continue, criminal activity will persist and legitimate businesses will potentially face a drop in trade as well as possible job losses and closures. The bill took another step closer to becoming law on Tuesday after clearing the report stage in the House of Lords. The legislation to introduce compulsory licences for scrap dealers will be back before the Lords for its third reading on 12 February before receiving royal assent. The major change that needs to be made now is for the government to make it law that cheques issued by scrap dealers CANNOT be converted to cash by a third party and that the cheque is used as intended i.e. AC Payee only, it must be paid into the bank account of the recipient. We totally agree with the above. The Cash Ban should be exactly what it says... Cash Ban. I agree with above. No cash and no loopholes. I wonder if the metal theft rate has also reduced by 50%? The regulatory authorities (the Police!) should be asked to prove they are making taking steps to apply the law. Under Operation Tornado they were harassing many merchants to apply the voluntary cash ban. Since the law changed it is likely they have found it impossible to keep up with the cash alternatives being touted by those who have implemented "near-cash" alternatives such a cheque encashment, reloadable credit cards etc etc. We hear some merchants are disguising their metal trading as cardboard and plastics. What a farce!